The copper band and burials were located in the center of a Late Archaic shell ring–circular deposits thought to have been used by Native Americans as both residential sites and as places of ritual gatherings and feasting events. Radiometric dating using an Accelerated Mass Spectrometer indicate that the remains and band are both more than 3,500 years old. This is significant, as it pushes the practice of cremation, as well as the use of copper, in the region more than a millennium older than previously thought. Remarkably, the copper band was not manufactured from local materials, but rather originated in the Great Lakes region, more than 1,500 km away. Copper sources each have their own unique chemical makeup, including very small amounts of trace elements. As such, archaeologists can match manufactured objects to their sources by comparing their chemical signatures, or “fingerprints.” Using Laser Ablation Inductively Coupled Plasma Mass Spectrometry (LA-ICPMS), researchers at Ball State, the Field Museum and the New Jersey State Museum determined the chemical makeup of the copper band was most similar to sources found near the Great Lakes. 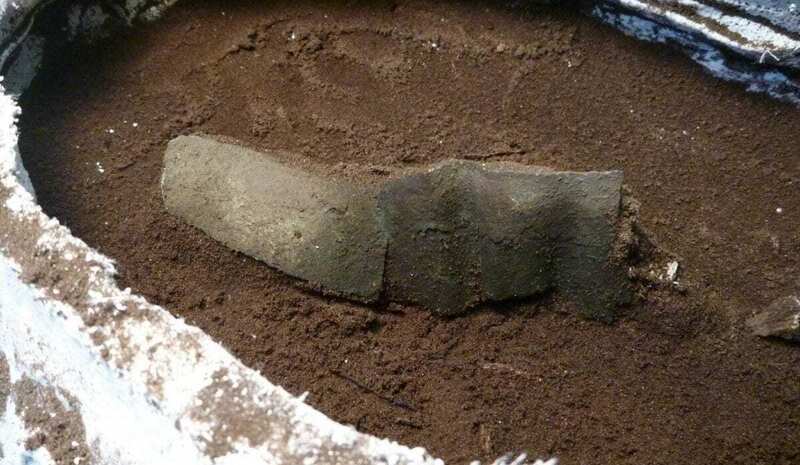 While archaeologists had long known copper was exchanged out of the Great Lakes region, the discovery made by Sanger and his colleagues extended previously documented boundaries of Archaic Period copper exchange by nearly 1,000 km.